Behavior serves a purpose for the individual doing the behaving. If the behavior proves of no value for the individual, the animal or human will have no reason to perform or exhibit this behavior again. If behavior, whether desired or undesired by us exists, it is because this behavior serves a purpose for us or for the animal. If that behavior happens once, the animal learns from that behavior by the consequence giving that behavior serves for the animal. If that behavior happens twice or three times, that behavior is being reinforced. There is something that causes that behavior to maintain or increase and that ‘something’ is the reinforcer for this behavior. Often times I hear “The behavior happens for no reason.” The behavior does happen for a reason or this behavior would not continue to exist for this animal. Once we can find why the behavior happens, then we can work with that consequence or reinforcer and begin working on changing that behavior. Why is the bird screaming? Why is the dog charging the door? Why is the owl flying off of the glove? When we can answer these questions, that is when we can accurately begin working on changing the behavior of the bird screaming, the dog charging the door, and the owl flying off the glove. 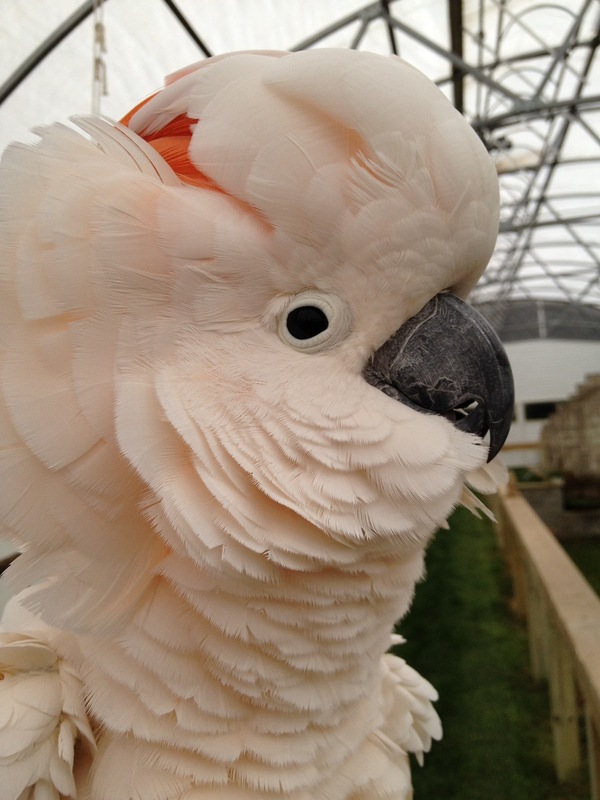 If the bird is screaming for attention, give it the attention when it does something that is more desirable. I do this with all screaming parrots. Screaming is a tough behavior to live with. If the dog is charging the door, find a reinforcer that is of higher value to deliver when it is staying calmly in a desired area when requested. If the owl is flying off the glove, figure out what purpose that serves for the owl and then arrange the environment so that purpose does not need to happen for the owl. Obviously there are several steps and different approaches that can be used in the above examples but for the purpose of this post, all behavior serves a purpose for the animal. If that behavior happens more than once, that behavior is being reinforced and exists because the consequence is of value for the animal. These behaviors can be changed or redirected. I also commonly hear “I was hoping the animal would grow out of the undesired behavior.” Each time that undesired behavior happens, the more well-practiced it is and the stronger it is likely becoming. By no means does this mean that well-practiced behaviors cannot be changed, because they can. What it does mean is that the longer the behavior is practiced or reinforced, the longer it can take for us to change it. The longer a behavior happens or is being reinforced is called a history of reinforcement. Training Falka to not charge or bark at unknown objects or things at the door. repetitive behavior of doing a back-flip in his cage. Both behaviors of screaming and flipping used to happen consecutively every 3-5 seconds for at least two hours at a time. These two behaviors are well-practiced by Rocky and from my best observation over time, have had a long history of reinforcement. I say this because these two behaviors still exist today and Rocky has been with me and under my care for over five years. Before you get discouraged, please keep reading because rarely do these two behaviors exist together currently. Also based on how often the screaming used to happen, I can now happily say rarely does his behavior of screaming exist anymore. If I do hear him scream, it is because it is serving a purpose for him. When I hear it, I pay close attention to his environment, observe potential reinforcers for this behavior, and immediately take control of his environment to change the delivery of the reinforcer. I do all of the above so I can change the behavior and reinforcer for that behavior. When I can do this, I can change the behavior. Now if either of these behaviors happen, which is few and far between, they are indicators to me that this behavior is likely to begin to rear its head again at some time in the future if intervention does not happen. The longer the history of reinforcement is for a behavior, the more that behavior may happen in the future if key cues or indicators are ignored. The cues or indicators of Rocky screaming or doing back-flips in his cage are very obvious to me because I’ve paid so close attention to changing them. I now know what environments or environmental events will likely bring out either of these behaviors with Rocky. This gives me the opportunity to rearrange the environment for the undesired behaviors to not happen by giving a particular toy or object he prefers or incorporate positive reinforcers for alternate behaviors when the undesired is likely to happen. This is training. This is communication happening. Target training Kwynn, the micro-mini pig at a consultation at The Animal Behavior Center. Whenever I see an undesired behavior happen or beginning to be practiced, the least I do is take note that it did happen. This is when I note to myself that this behavior could be a concern and lead to more intense behaviors. If I see this behavior happen again, I’ve probably already begun to think of how I can change it. I do not want to see undesired behaviors happen twice or a third time because I know each time it happens, the more well-practiced and purpose it has for the animal. 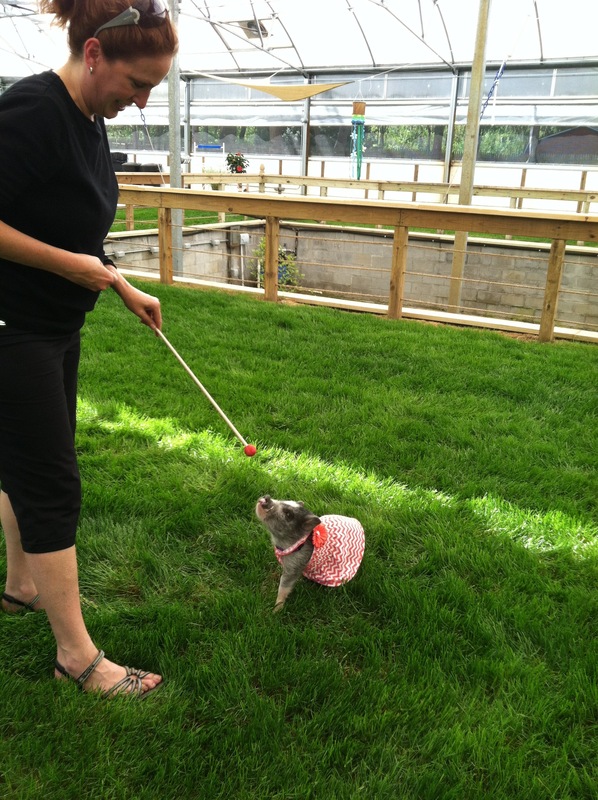 For example, I recently had Kwynn, the micro-mini pig with me for training for a weekend about a month ago. I went to get her ready for bed for the evening. I set up her crate and when I turned for her she took off running and squealing. An eyebrow went up and I began laughing. The crate and time of night was an obvious cue for her that it was time to go to bed. I could have chased her around the room and by her behavior of running and squealing, I predicted the more I chased, the faster she would run and louder she would squeal. I didn’t feel like running nor did I want to associate her being with me and putting her to bed was a time to not look forward to. I knew Kwynn was already trained to touch her snout to a target stick. So when she ran and squealed, I turned for the target stick. The presence of the target stick has a long and strong history of reinforcement for Kwynn. When she saw it, she knew the opportunity for goodies to be delivered was high. She quickly came running to me instead of away from me. 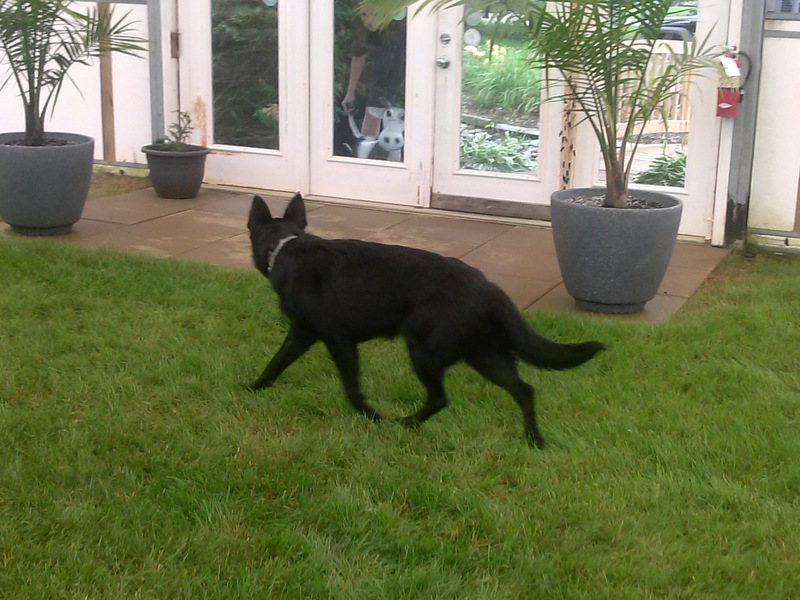 A few repetitions of her touching her snout to the target stick and she was easily guided inside her crate. Then I stood and reinforced periods of time of her sitting calmly inside her crate while I slowly turned down the light. She was quick to catch on and the following night she saw the opportunity for going to bed as a highly desired one. I often tell people “When working with an undesired behavior that has a long history of reinforcement, you can pretty much bet it took a lot longer to train that undesired behavior than it will for us to change it.” That has been my experience in changing behaviors with animals. Often times undesired behaviors have been unknowingly trained for a long time. If the steps needed to take to change the behavior are broken down into small approximations, one will see the behavior changing fairly quickly. Unfortunately, many times by the time a person seeks professional advice to change behavior, if the behavior change doesn’t happen quickly, the animal is likely to lose its home, even though the undesired behavior probably took months or even years to get to this intensity. The importance in seeking professional behavior and training help is the key in helping keep animals in their homes and out of shelters. Lara Joseph is the owner of The Animal Behavior Center in Sylvania, Ohio. See her website at theanimalbehaviorcenter.com.